The Windy City BMW club has invited members of our club to participate in several of their upcoming schools at their club member rates. These are incredibly well run events, and you are sure to learn a bunch about how you and your MINI perform at their limits. Knowlegeable instructors (including some from our club) help make your experience safe and fun. These classes traditionally fill up very fast so check out the info below and sign up ASAP. Huge thanks to the Windy City Club for including our club in these events. This is an incredible opportunity to learn more about yourself and your car. Add a comment and tell us what events you are participating in.. If you would like to do a writeup of your experience afterwards, let us know and we will put a post out for you!! I signed up for the Autocross school on the 17th, and also signed up for their Autocross 1 race the following weekend. I caught the bug last year during MTTS/MINIcross at Soldier field, and am looking forward to getting my own car out there in the fun. I will look for you at the AutoX school. What MINI do you have? 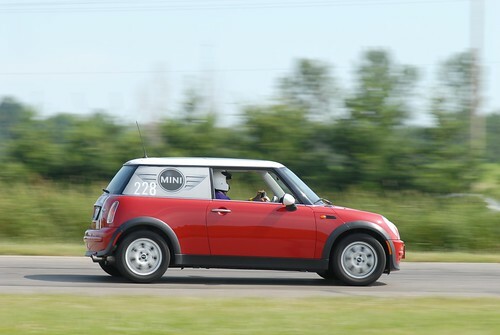 We had two MINI’s at the Safety School last Sunday, but I don’t think either were from CMMC.